DON’T EAT MY TIDE PODS AGAIN!!!! 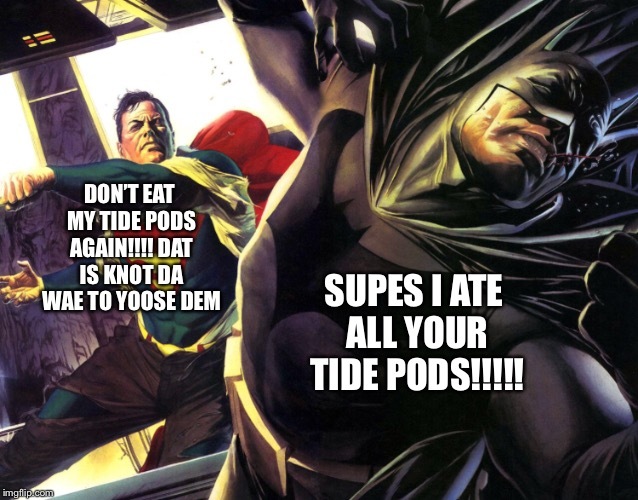 DAT IS KNOT DA WAE TO YOOSE DEM; SUPES I ATE ALL YOUR TIDE PODS!!!! !